In dire need of extra storage space? The Amana 24.6 Cu. 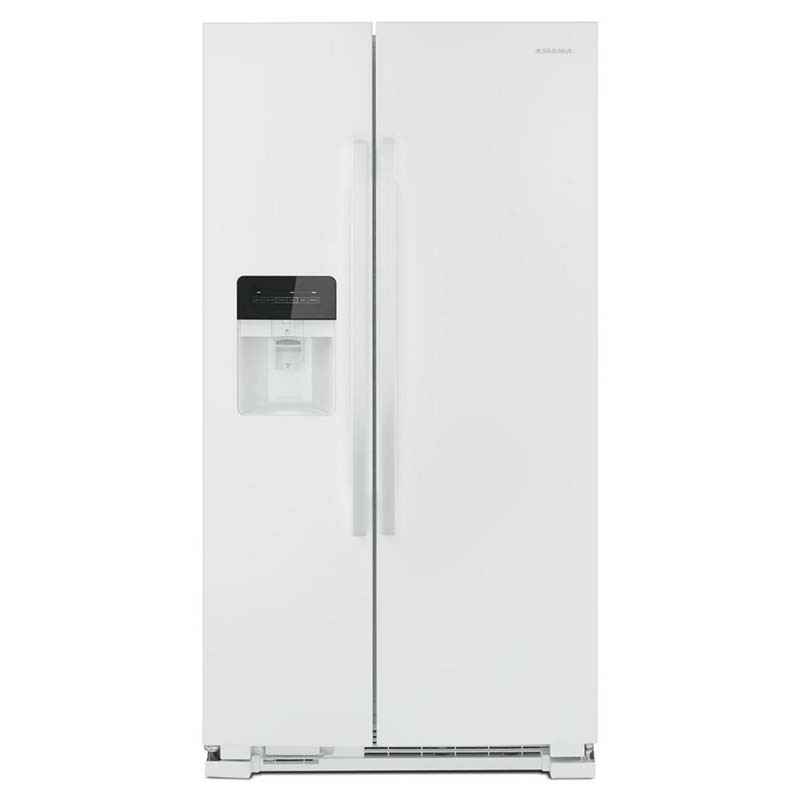 Ft. White Side-By-Side Refrigerator offers just that! Between its 3 adjustable gallon door bins, easy-to-clean glass shelving and dairy center, this model makes food storage simple! Plus, you will absolutely love the convenience of having cubed and crushed ice and chilled water readily available.